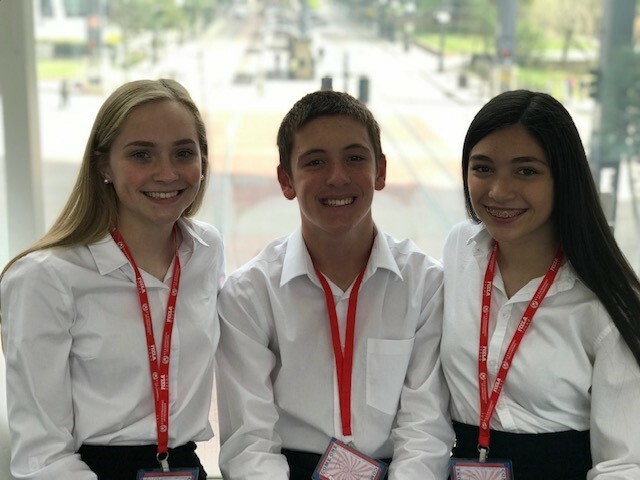 Addi Harkins, Koby Fortner and Ina Bove competed at the FCCLA State Competition. They placed 4th in the Chapter in Review Freshmen Division. Their presentation was about all the events and projects the local D'Hanis FCCLA Chapter organizes each year. This makes the freshmen team alternates to Nationals!